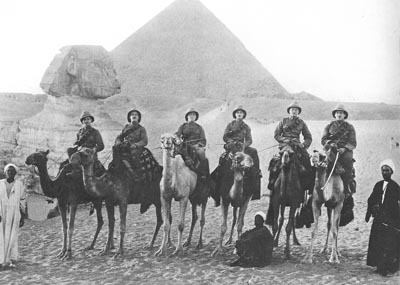 When Britain declared war on August 4, 1914, it did so on behalf of the King’s subjects around the world. 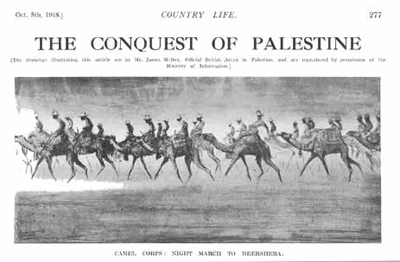 Country Life had always engaged through its imperial readership with the world at large and it was only natural for the magazine to report on the conflict in the widest geographical terms. 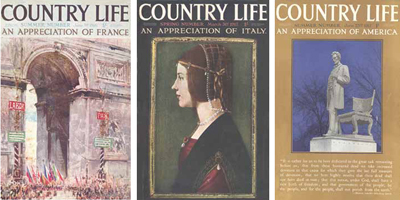 Country Life published issues about allies. America’s entry into the war prompted the first ever colour photograph published by the magazine (right). 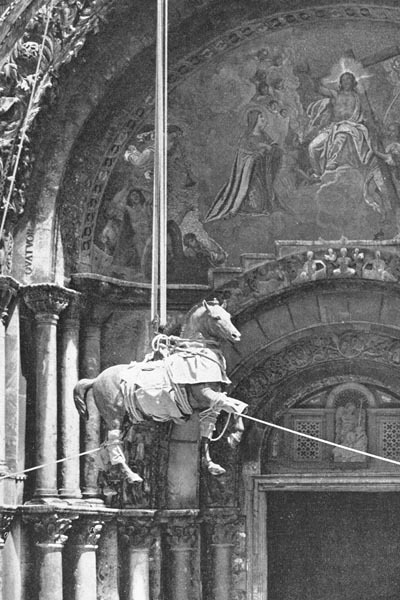 Italy prepares for war: the threat of Austro-Hungarian shelling brings down the bronze horses from St. Mark’s, Venice, 1916. 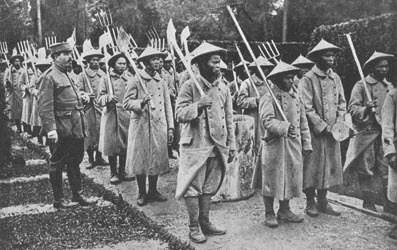 Tonquinese soldiers under the command of a French officer work the Trianon gardens for the French war effort in 1917. An Italian gun is hauled into position on the Carso. Heavy artillery was the defining weapon of the fighting on all fronts during the First World War. The Frontispieces of the magazine were regularly used for propaganda purposes. As well as society women, there appeared photographs of the Royal Family and the crowned heads of our allies. 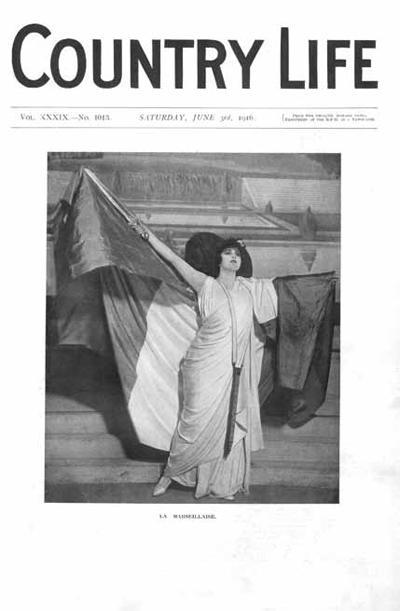 Here, for the French number of 1916, the Frontispiece evokes Delacriox’s celebrated painting Liberty leading the people, although La Marseillaise has her breasts decently covered, unlike her model. On October 14, 191, Country Life published a special Russian issue, replete with a leader in Cyrillic. This photograph comes from an article entitled ‘The Russian Tommies’ by ‘a Russian General’. It shows the Tsar blessing troops with an icon.